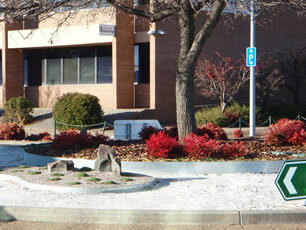 At ideal edging we have a size and type of edging to accommodate every individual’s desires. Our edging comes in 8 different profile heights, four contrasting finishes and 3 different gauges. If it is long sweeping bends or nice straight clean lines that you are after, we have the product to suit. All our edging is 2.4 metres in length, small enough for a single person to handle but long enough to be efficient when installing. 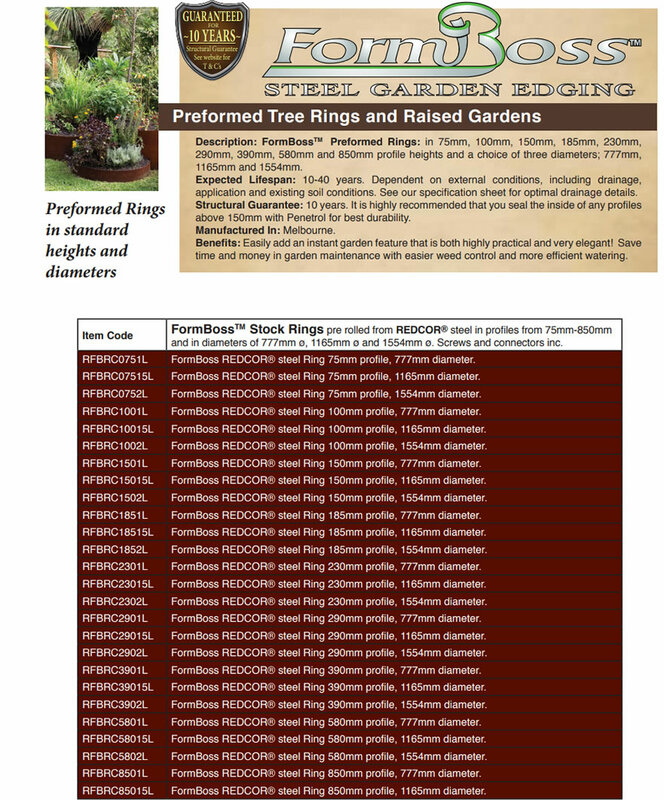 All steel edging comes with a 10 year guarantee, but an expected life span of between 25-40 years. 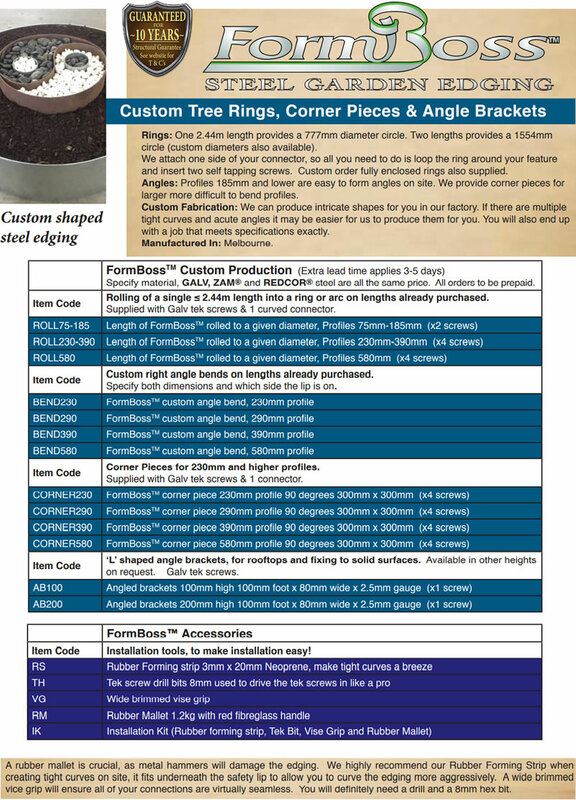 With a unique rolled edge on top Form Boss edging is not only high in strength it is safe for both children and animals. Form Boss edging can be shaped to around 500mm radius on sight and can be bent on site to cater for the angle you require. 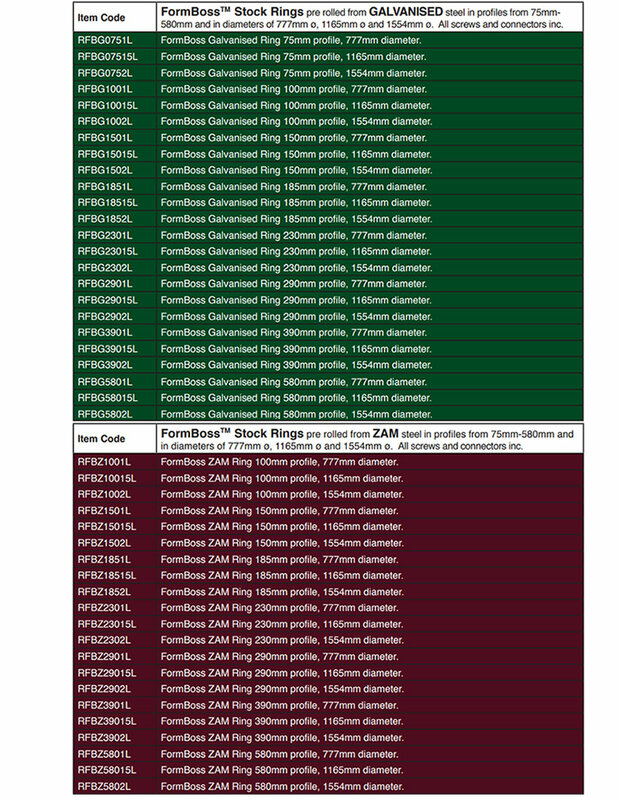 With our unique fixing system you will find a staking to suit your environment without compromising the look of your edging. 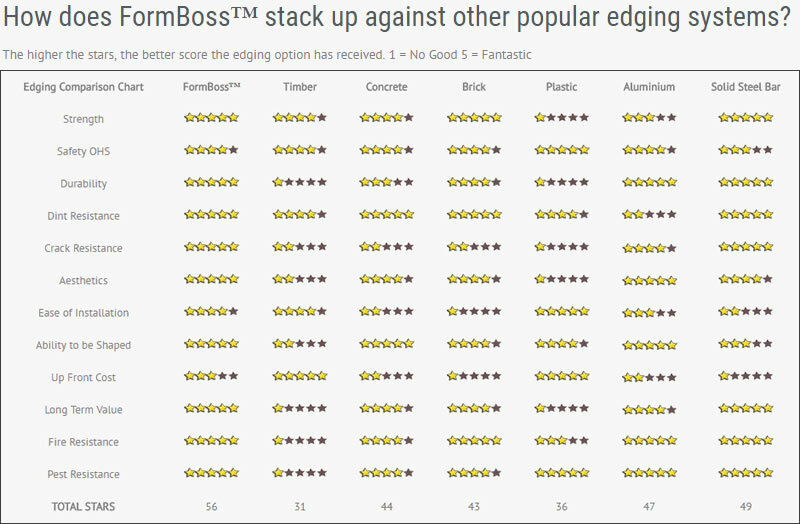 Form Boss is stronger than aluminium and will hold its shape better than aluminium it is more durable than almost any other edging products. The edging does not split, crack or rot and if installed correctly should not sink. The most cost effective of our four finishes. Our galvanised steel is mild steel that is hot dipped to ensure it handles the harsh Australian climate. Galvanised steel has a matte grey appearance and will lighten over time. 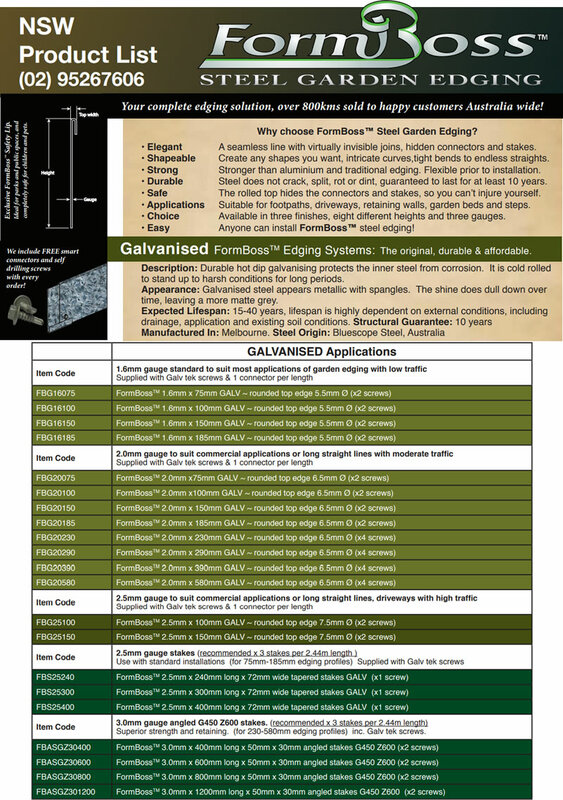 Galvanised steel is almost grey in appearance and will blend into any type of environment. As galvanised steel is completely neutral in colour it will not take the focus off other features in your garden, instead accentuating your existing landscape. Heights Available: 75mm, 100mm, 150mm, 185mm, 230mm, 290mm, 390mm, & 580mm. 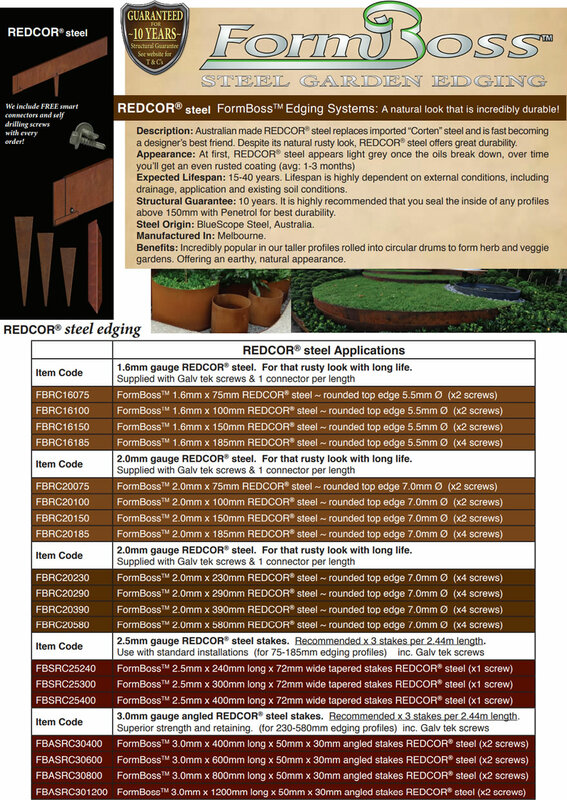 Redcor steel is fast becoming the most popular of our steel edging finishes. Not only does Redcor steel have a long life expectancy, its slight variation in colour and appearance makes for spectacular viewing. Redcor steel develops a protective layer on its surface when exposed to the weather eliminating the need for painting or galvanising. Once exposed to the elements it can take anywhere from 4-16 weeks to achieve that nice rustic appearance. 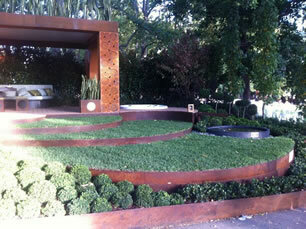 Redcor can be used as a feature item or to blend into your existing designs. Developed by a large Japanese corrosion research and development team and tested by the French corrosion institute, ZAM was engineered for the automotive industry and designed for countries with the harshest weather conditions. ZAM is around half the price of stainless and almost 95% as efficient. 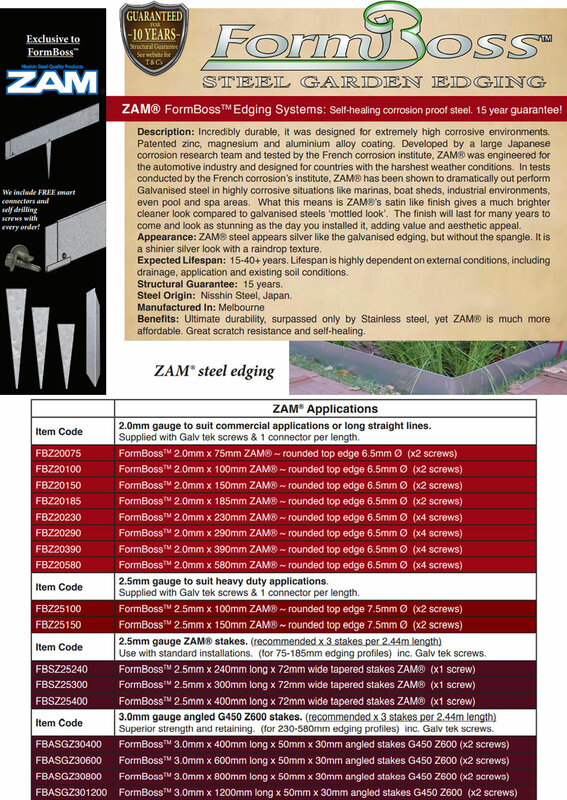 ZAM has 3 times greater corrosion resistance than galvanized steel. 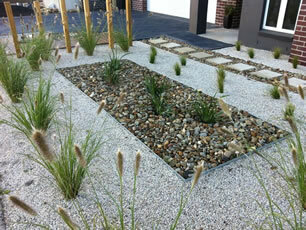 ZAM edging has a high glossy satin finish and is very compatable with other landscape materials. 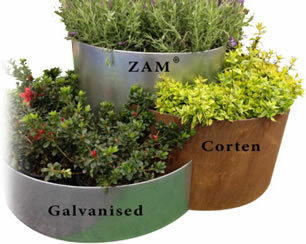 ZAM will stand the test of time and have your home and garden looking bright and sleek for life. We have a fantastic range of stainless steel edging. Unfortunately we do not stock as a shelf item as the other three products have simaler corrosion resistance and are far more cost effective. Stainless is highly recommended for those who want a nice glossy finish and live within 5km of the coastline. If stainless has been specified, or you simply have your heart set on it, please call us and we will be more than willing to help you find the suitable profile you are looking for.